Fall and winter are two of my favorite times of the year. The leaves changing, the cooler weather, the Fall and winter decorations, the beautiful colors of nature…it’s all just wonderful and beautiful! Plus, it’s always the time of year that some of the best comfort food recipes start making their way into my kitchen. One recipe that I can’t get enough of? These delicious Apple Cinnamon Oat Muffins. Not only are these Apple Cinnamon Oat Muffins moist and amazing, but there’s nothing quite like sitting in my kitchen in the morning and eating one of this delicious treats for breakfast. Pairing it up with a nice hot cup of coffee is one of the best ways to start the day! 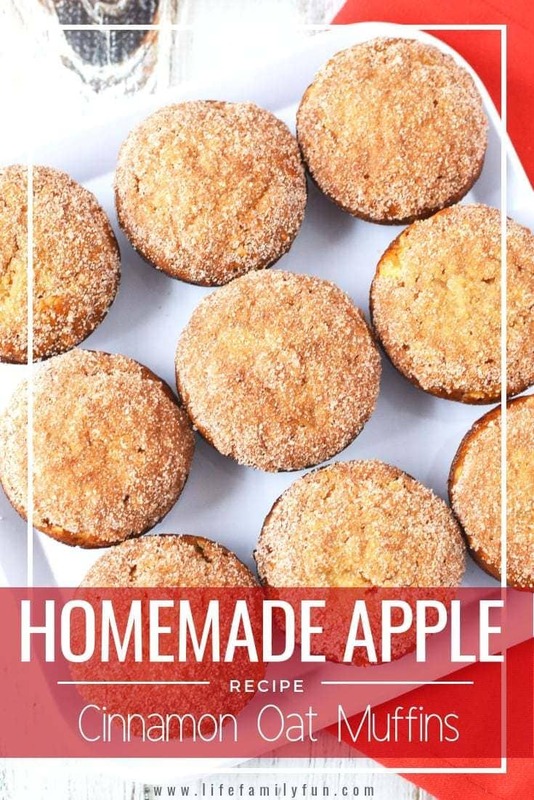 My kiddos are still too young to enjoy coffee, but they’ll testify that having these apple muffins and a warm cup of hot chocolate is also just as good! They’ll grab one (or two!) 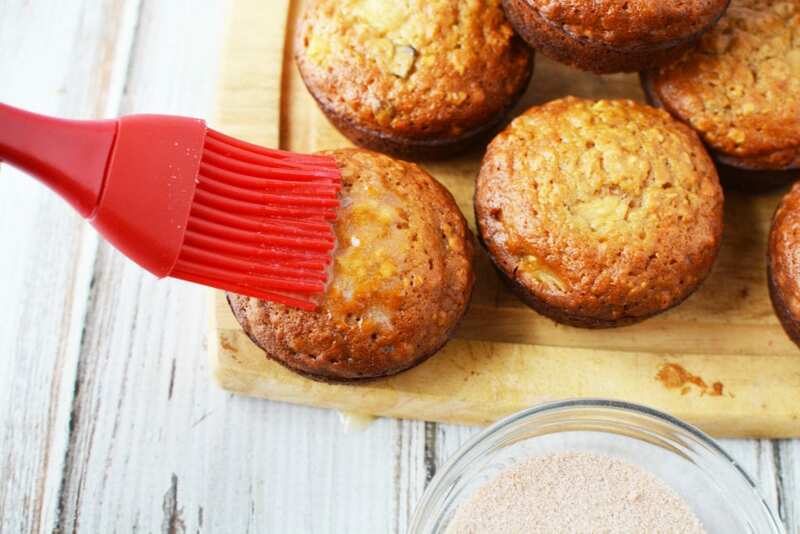 of these breakfast muffins before school and are set and ready for the day! They are seriously perfect to enjoy on a cozy, cool fall or winter morning! 1. Preheat oven to 400 degrees. Grease a muffin pan. 2. 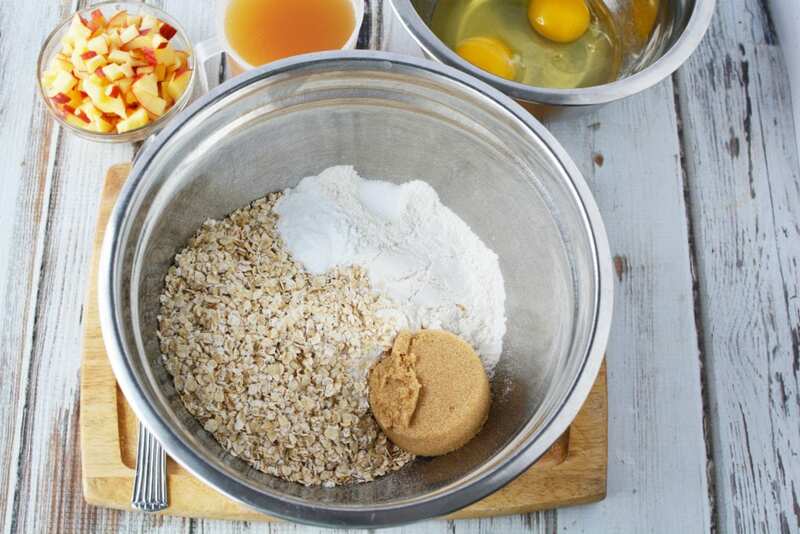 In a bowl, whisk the flour, oats, brown sugar, salt, baking powder, and baking soda. 3. Beat eggs, oil, and apple juice in a separate bowl. 4. 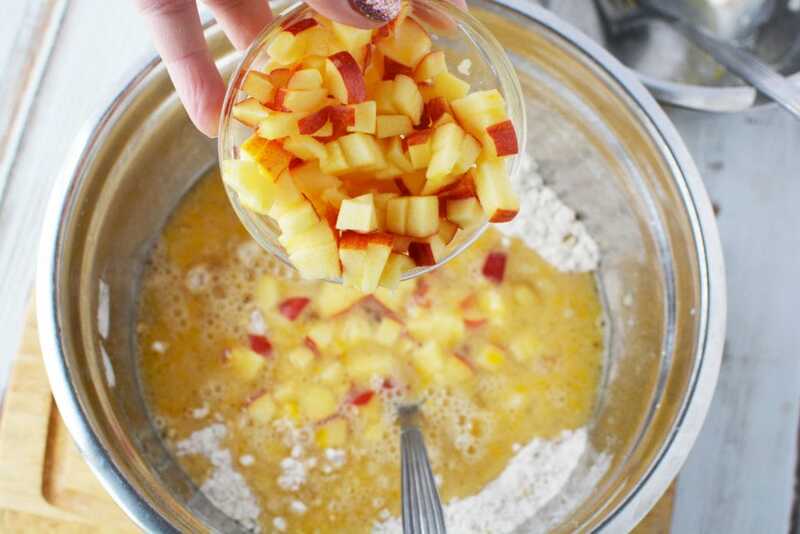 Add finely chopped apple and mix together all wet and dry ingredients. 5. 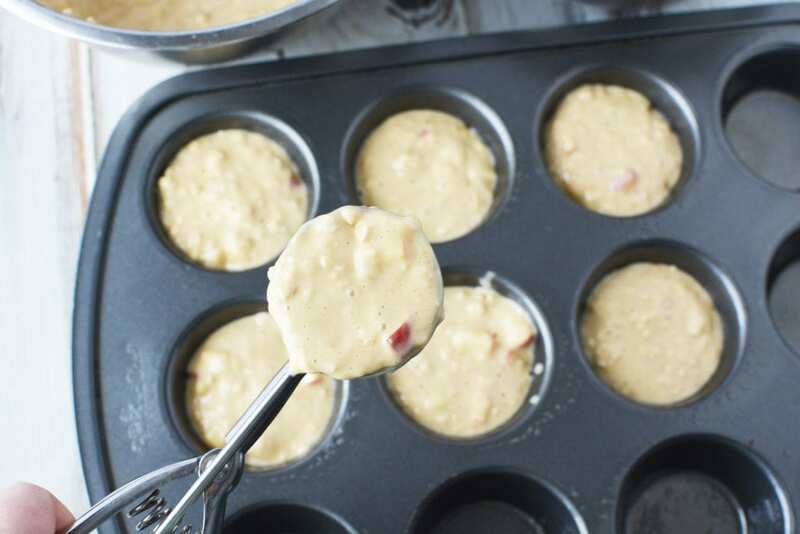 Fill mixture into the greased muffin pan and place into the oven. 6. Bake for 15 minutes or until done. 8. Using a pastry brush, lightly brush melted butter on top of muffins. 9. Mix cinnamon and white sugar. 10. 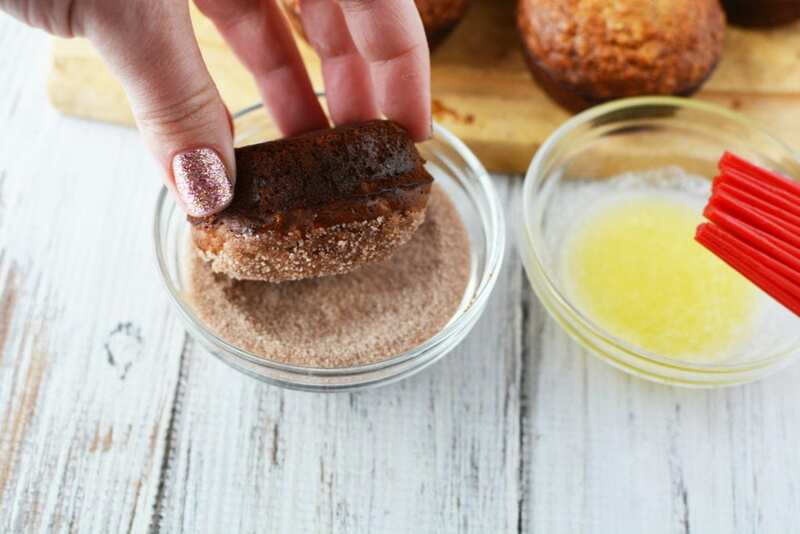 Dip muffin top into cinnamon and sugar mixture. Not only are these Apple Cinnamon Oat Muffins moist and amazing, but there's nothing quite like sitting in my kitchen in the morning and eating one of this delicious treats for breakfast. In a bowl whisk the flour, oats, brown sugar, salt, baking powder and baking soda. Beat egg, oil, and apple juice in a separate bowl. Add finely chopped apple and mix all together with wet and dry ingredients. Fill mixture into the greased muffin pan and place in oven. Using a pastry brush, lightly brush melted butter on top of muffins. Mix white sugar and cinnamon. 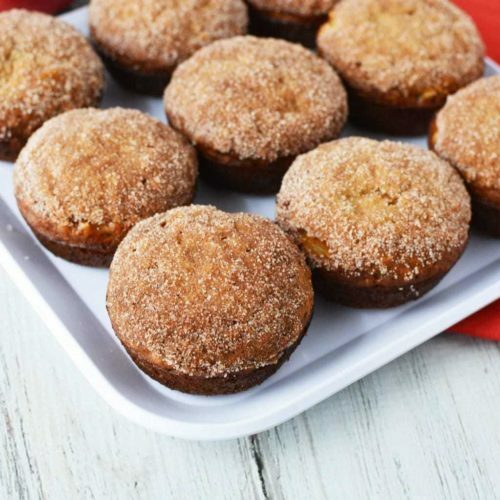 Dip muffin top into sugar and cinnamon mixture. I need to try this recipe it looks so good. I love trying new recipe ! Perfect fall treat ! This is perfect Fall weather food and one that I must try soon thanks for sharing this one.